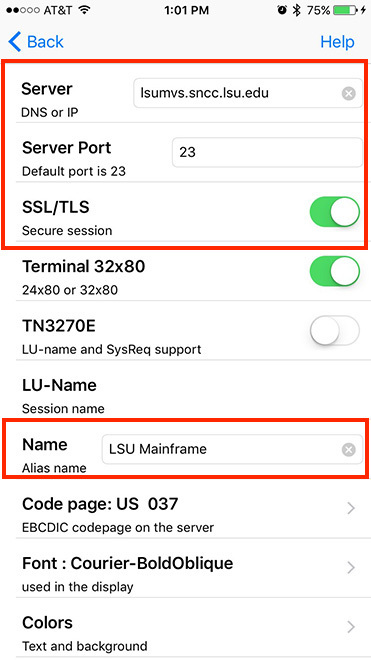 In order to connect to the LSU Mainframe from an iOS Device, you must first download, install, and configure the TN3270 App. 1. Open the App Store on your mobile device. 3. 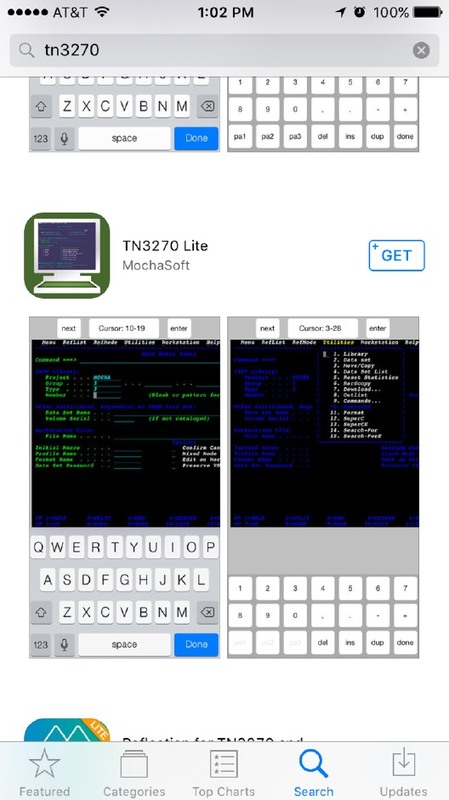 Tap the GET and then INSTALL Button, located to the right of the TN3270 Lite App. 4. Sign in with your Apple ID. 5. 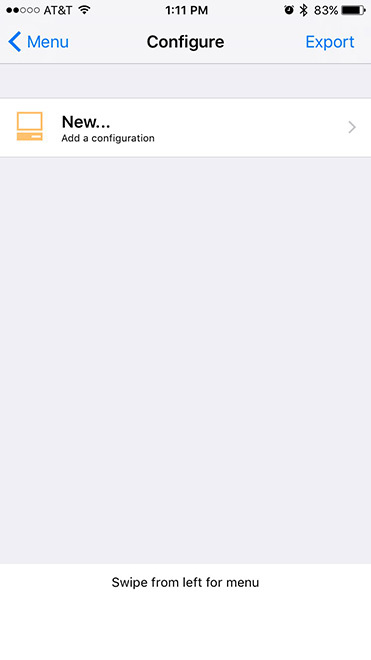 When it is finished downloading it will appear on your home screen. 1. Tap the TN3270 icon to open the app. 2. 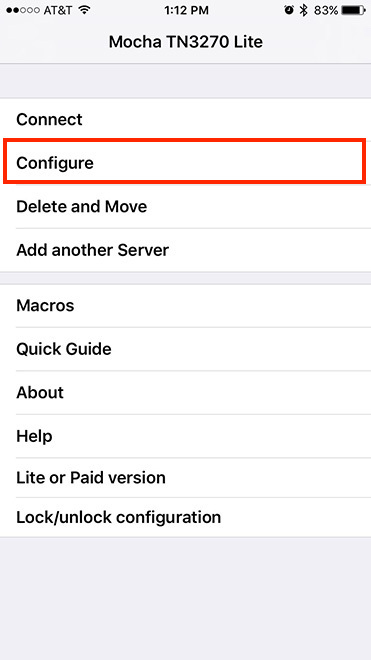 Tap Configure, then tap New. 1. Tap on the TN3270 icon to open the app. 2. Tap Connect. 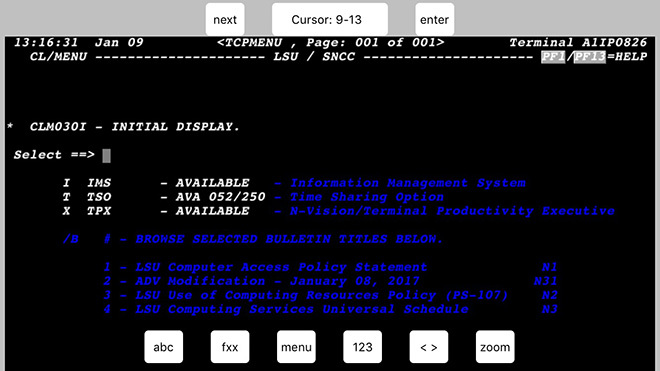 The Mainframe screen will display.